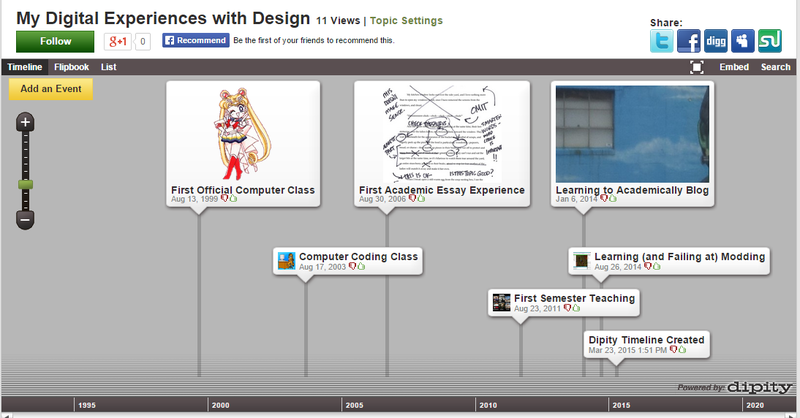 For my Visual Rhetoric class, we were asked to create timelines of our digital design disasters experiences. The picture below is a screencapture since I can’t get the embed code to work, and there is a link to my actual timeline below that. My Digital Experiences with Design on Dipity. When you don’t know where you’re going, the music is always fun.